Jillian loves to sing. 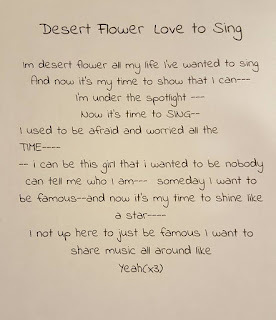 Her stage name is Desert Flower. 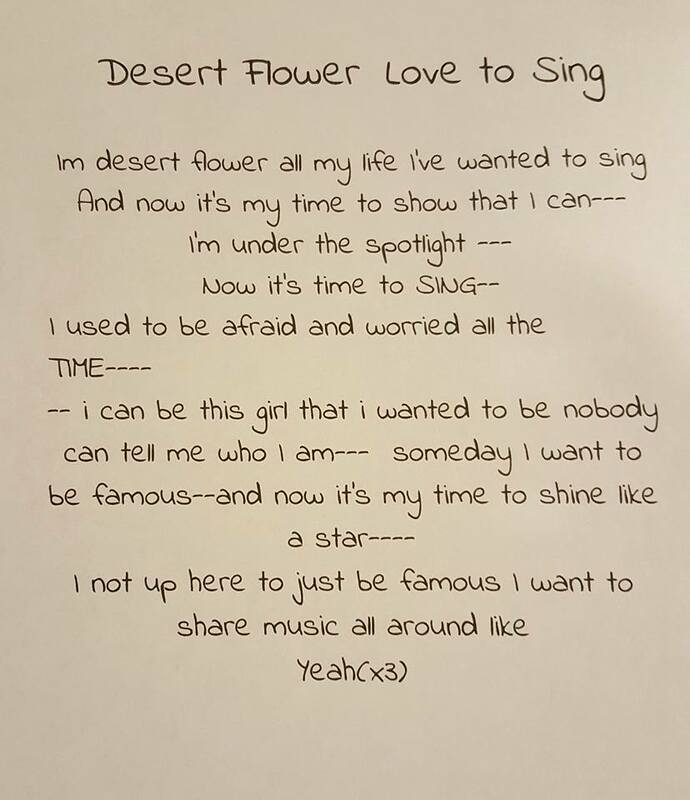 Tonight she wrote this song and sang it for me.